It has been confirmed, the biggest music concert in the whole of south east “PHYNO FEST” will yet again be hosted in the coal city state. Just after the people of coal city lost hope in seeing something like this after the cancellation of 2015 edition of Enugu RoadBlock, the then yearly music concert in the city. 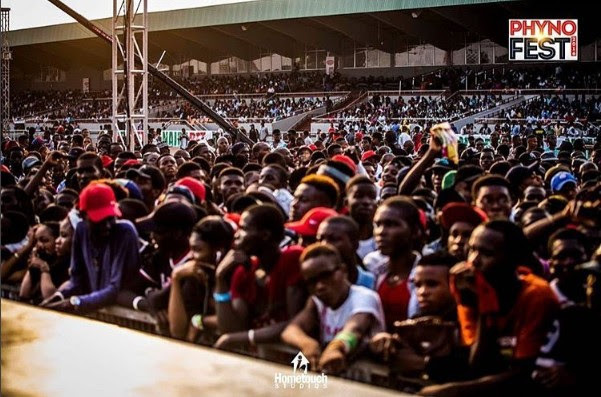 The king of south east, Phynofino brought back smiles in the faces of music lovers by hosting the second edition of his music concert, PHYNO FEST in the city of Enugu. This year edition will still be happening at Nnamdi Azikiwe Stadium Enugu “The Cathedral” on the 19th of November starting from 12 Noon. Ticket Available at: Www.ariyaticket.com, Slot outlets Enugu, Spar Enugu. So far it has been confirmed that artist like, The prince of south east, Ijele one “Flavour”, Mama Africa “Yemi alade, Olamide, Timaya, D’Banj, Burnaboy, Rudeboy, Runtown, Zoro, Mayorkun, Lil Kesh, Skuki and of-course The King of south East Phynofino will be performing on that day. Go get your ticket now. The cathedral here I come. Phyno Fest all the way. Seems like a popular concert! Do you have samplings of the music that they play there?